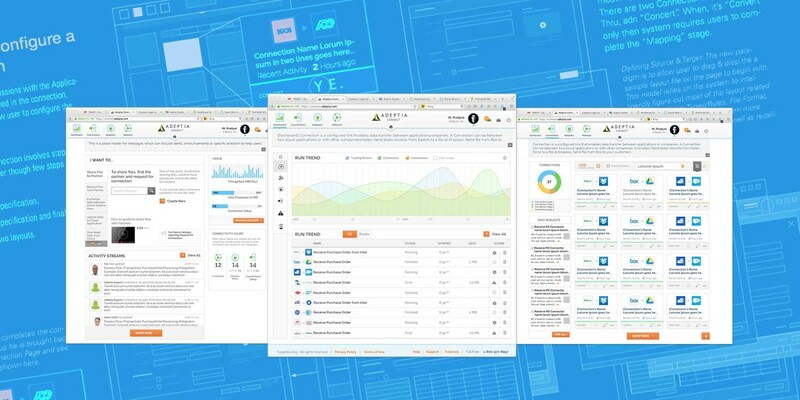 Adeptia Connect is a new self-service iPAAS product that is aimed to make the enterprise data connectivity simple and easy for business users. It engages business users with their Trading Partners in an easy and social-media kind experience. Business connectivity & data integration products are catering to their old patrons — IT organizations and Technology Professional. Despite the demand from business to gain access to their business connectivity, there are very few players who are making their product simple as a social and shopping experience. Adeptia Connect is a product that is targeted to Business Users without any help from IT. It also provides a superior experience to its users by allowing all the Trading Partners, Enterprise Application Connectors, and Cloud Applications to be discovered at a single platform. Adeptia Connect is an iPAAS (Integration Platform As A Service) application that facilitates business connectivity as easily as LinkedIn does to professional networking. To make the whole processes simple and intuitive this design creates a collaborative & self service oriented environment for companies to create their Adapters (connectors) and invite their partners to establish connectivity. This platform makes the whole approach of building connectors, discovering trading partners, and building new connectivity extremely simple and very engaging. Adeptia Connect design follows the most modern design approach to create an appealing visual environment. It focuses on tasks, data and those fewer functions that users need the most. We unravel even the most complicated functionality in a stepwise manner to make the most difficult tasks extremely easy and intuitive for non- technical users. A good user experience design must constantly engage users to the product. To make it happen Adeptia Connect’s design makes the whole mundane process of integration simple and appealing. On top it uses the subtle nudging & messaging to make users stay connected with the application. Providing users with the usage, status and analytics on their connections is key part of our design. Adeptia Connect design is based on the most modular and responsive framework. To make the design easy and consumable by the development teams we detail out design and requirements specifications based on the modular framework illustrated below. Our approach towards Information Architecture covers the application structure, usage scenarios, page layouts, and identifying each components that can be traced back to the technology framework. Based on this IA, our system presents a very elegant design system that can be defined by its individual parts. This system helps design to me iterative and agile as the product rollouts are planned. Prady enjoys the process of design as much as the final outcome of the design. That’s why we take special care at each of the design deliverable to be as beautiful as the final product. Adeptia Connect is a very unique project where we have delivered extremely high quality design documents that communicates effectively to everyone involved. 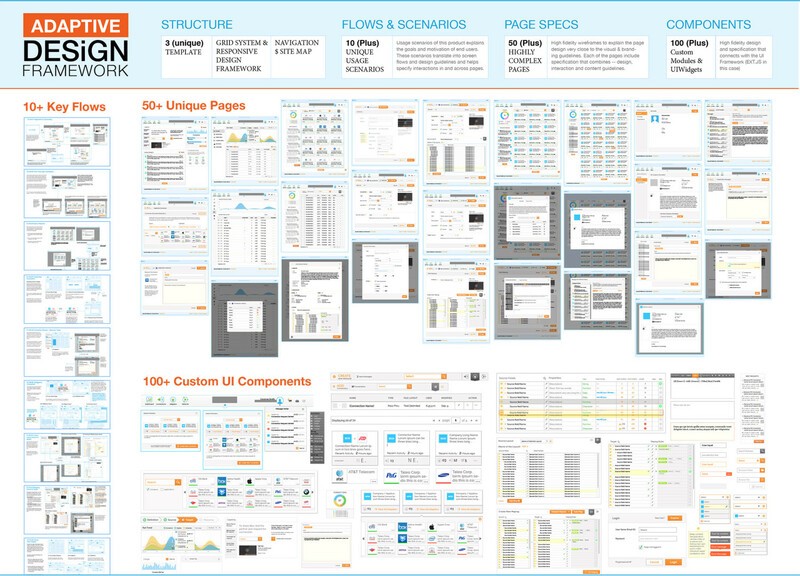 Our User Experience design involved working with leadership, technologists and outside vendors to deliver the design. Our iterative design methodology was the central part for capturing ideas, and communicating design & requirements. 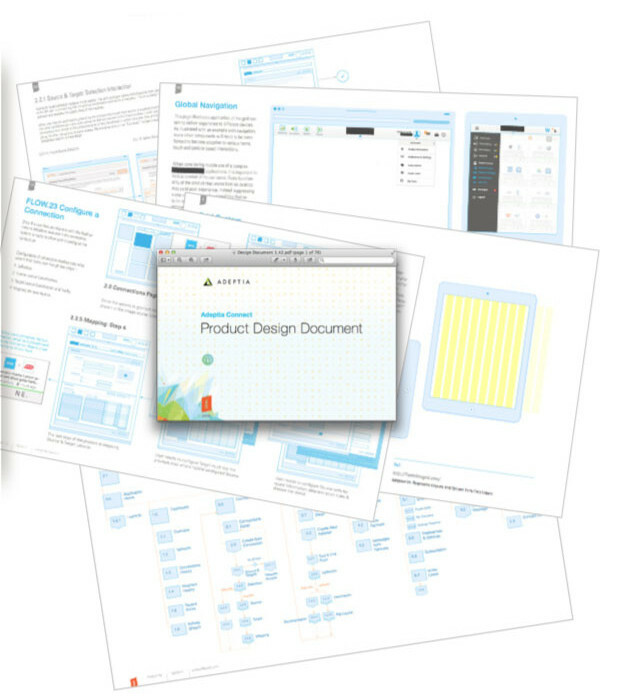 Product design document is based on modular information architectural principles that breaks down the whole products in terms of flows, structure, pages and components in order to provide more elegant design & requirement specifications. The aim of the visual design of Adeptia Connect is to enable a branded experience that is differentiated from the rest but that meets the standards of Adeptia’s corporate image. 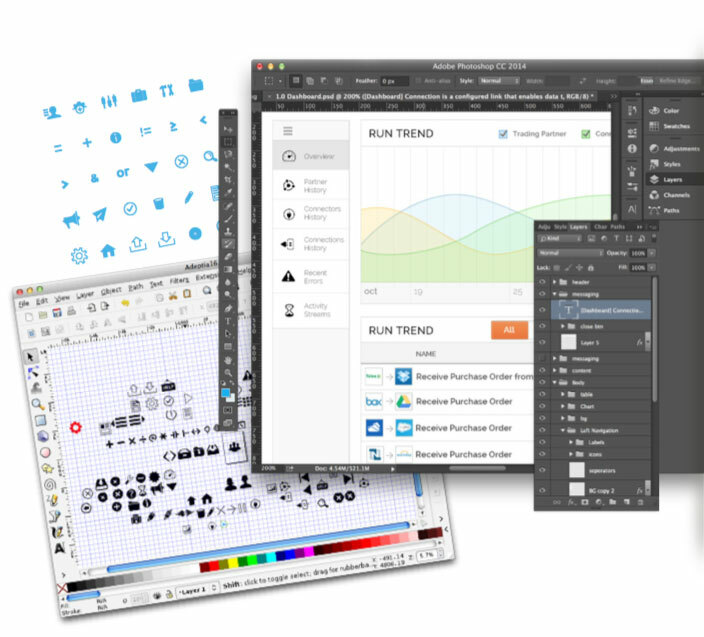 It is carefully designed so that the visual identity remains nimble and helps users focus its task and data. All the graphics are designed to be scalable vector including the iconography which is developed as glyph fonts to be implemented with the use of CSS. Style and Interaction Guide provides a means to standardize the product design with branding, technology and user experience principles. It provides specifications for visual design and interaction that are implemented with custom widgets with the use of EXT.js.